Executives and Shareholders of the Officine Maccaferri Group met in Tianjin, China recently for theinauguration of the company’s latest manufacturing facility. OM Group Managing Director DottPenzo and OM Chairman Alessandro Maccaferri, were joined by the Managing Directors from theMaccaferri world. Managing Director for Maccaferri China, Mr James Wang, led a tour of the state-of-the-art facilities, which are intended to supply both local and some global construction materialrequirements. This investment is part of Maccaferri’s ongoing strategic commitment to verticalintegration of their business; from manufacture to construction. 2010 financial results revealed the economic crisis in 2009 has been overcome, with a strongincrease in turnover and profitability and was the second highest performance ever for the Group.The OM Group will continue an aggressive increase in manufacturing capacity to cope with theglobal demand for Maccaferri’s innovative solutions. 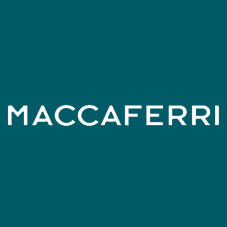 Officine Maccaferri Group is part of the privately owned Maccaferri Industrial Group, one of themost important Italian businesses with a turnover of €1.233 Billion (2010 figures) and well known forits significant diversification (see www.maccaferri.it ).